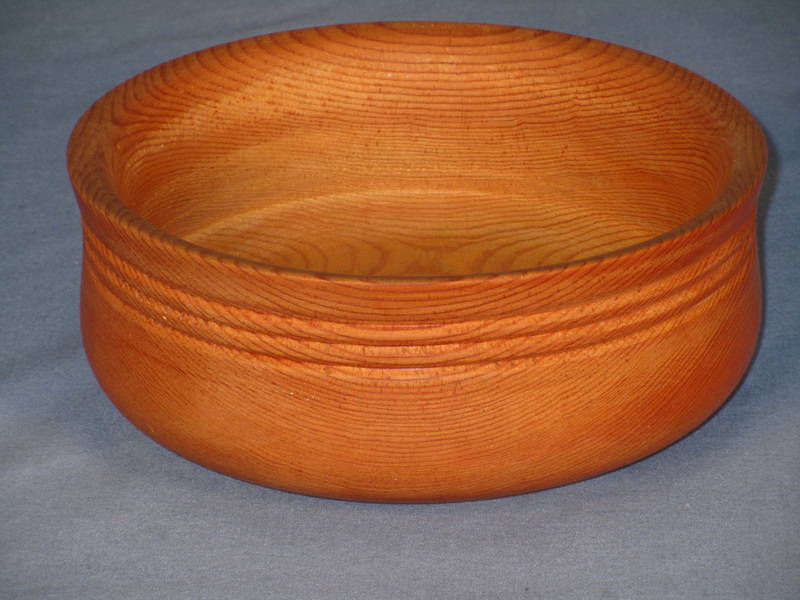 Pondorosa Pine Bowl. 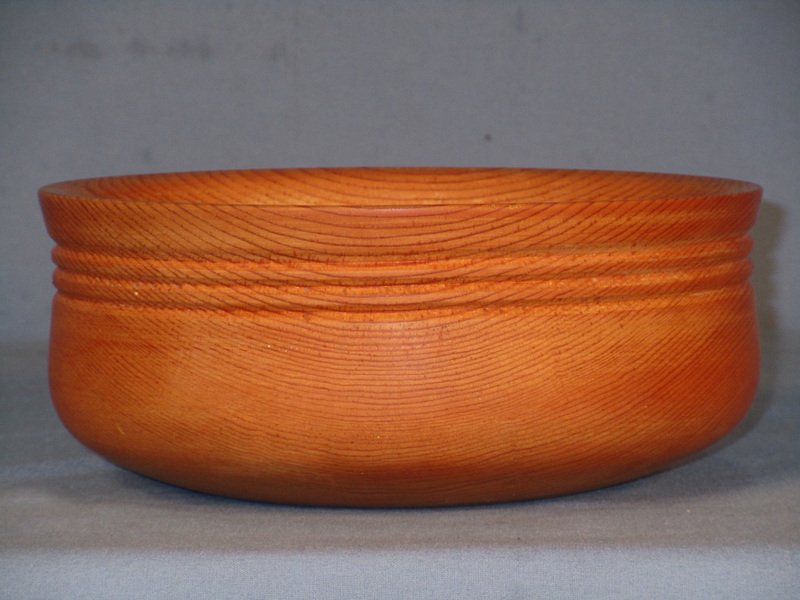 This one was turned by Fitzhugh Lee in 1999 out of a block of Salvaged Old Growth Ponderoasa Pine that I had. He said it was difficult to turn and could see why Pine is not considered a good turning wood. The tight grain is quite attractive up close and it has a nice cathederal grain in the bowl bottom.